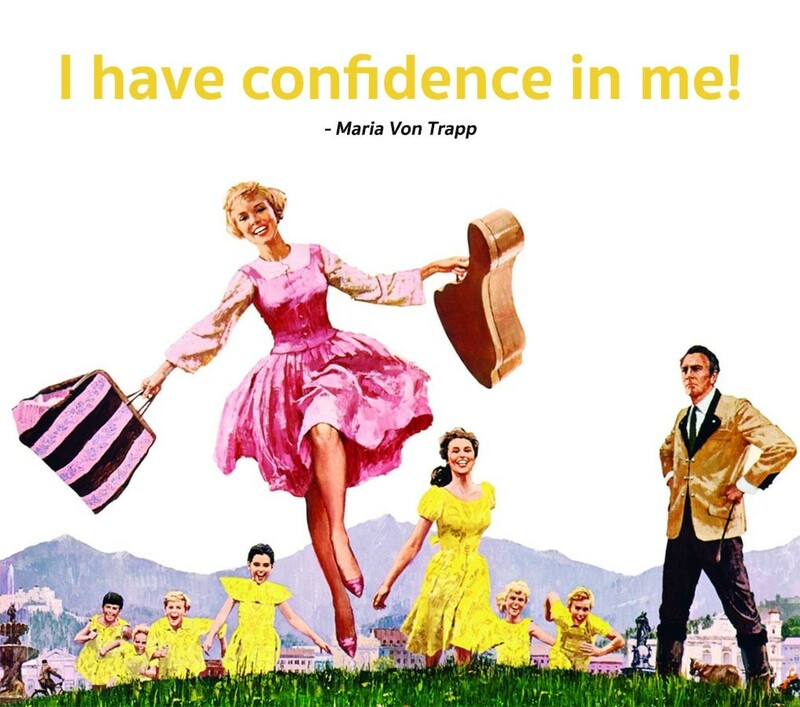 To follow on from my #fridayfeeling I’ve been doing for a few weeks now I created this one because 1) I love The Sound of Music and this song is probably my favourite musical song EVER from any musical and 2) the song has a really powerful and lighthearted meaning to give you courage and confidence. I think everyone could relate to this especially as Maria starts out scared and worried and then at the end it’s like she is a new woman who can take on all 7 children – for me this could relate to multiple projects on going at the same time starting out a bit unsure, but once I get into it tackling it head on and becoming more confident I’ll complete the deadline in time! Not to mention having confidence in selling myself each time I talk to new clients. For couples I think this meaning is really important because if you believe in what you’re capable of then you can achieve it! Planning a wedding for the first time is like walking into a dark room, but if you have confidence in yourself then you can do it – hey you can do anything! We should all listen to this song when we feel defeated – it will lift us back up again and help us create amazing things. It can change lives :-). Don’t you absolutely love it! Anyway ramble over and I promise my huge love for the Sound of Music won’t be coming back soon – I don’t want to scare you all away :-). Thank you for popping along and I hope you have a great weekend.